If you're a local, you'll no doubt be aware of Cardiff's City Road - jam-packed with so many delicious eateries from all over the world, you really are spoilt for choice. Saray is a Turkish restaurant situated about halfway down the infamous road, and they kindly invited me, along with a few other bloggers, to a cooking masterclass with their fantastic chefs. We were sat down in the restaurant and offered a beautiful cup of Turkish tea - very unlike my usual morning English Breakfast tea! The aromas were fantastic too and complemented the smell of freshly baked breads coming from the kitchen. We started off with an Adana kebab masterclass using minced lamb (my favourite meat!). We were shown how to roll and place the mince onto the skewers so that they look presentable before they are cooked. They made it look a lot easier than it actually was! Regardless, I like to think I did a pretty good job of it in the end! 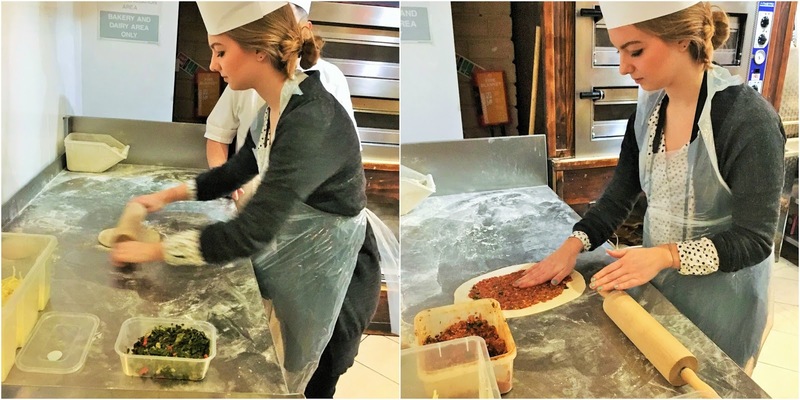 We then went through to learn how to make their fresh breads, and we also made Pide - a kind of Turkish pizza. These can have an array of different fillings - we made a Ispanakli pide (feta cheese, spinach, red peppers, onion and mushrooms) as well as two meat pides (one chicken, one lamb) but the vegetarian pide was my favourite for sure. The best bit about the cooking class? Being able to eat it all at the end! They say food always tastes better when you've made it yourself, and this was no exception! The lamb kebab and pides were beautiful, and the fresh bread and dips complemented the dishes perfectly. The fact that we saw all the food being freshly prepared made me realise how different Saray is to other Turkish restaurants I've been to. Every single thing I ate (even the hummus) had been freshly prepared in the restaurant - and you can really tell! The flavours were fantastic and I can't wait to go back and bring along friends and family. 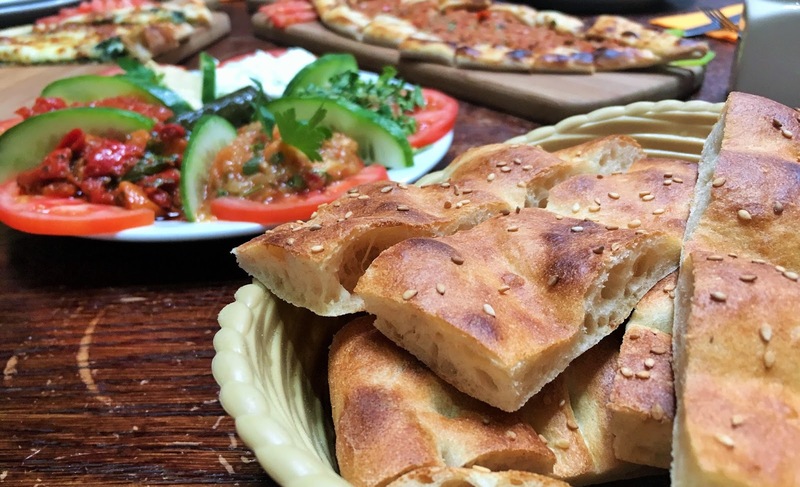 If you're a Cardiff student like me (or even just visiting Cardiff) looking for somewhere to eat out - perhaps City Road feels a bit overwhelming with its huge choice of restaurants - look no further than Saray! Wow! The food here looks really amazing!! Thank you for sharing the review!